No matter whether at home or on the road - many people don't want to do without their favourite music. For perfect sound enjoyment, expensive headphones, earphones and surround sound systems are often used, which certainly play an important role in sound quality. However, the real problem of poor sound is often caused by the sound chip - this small part, which is built into the mainboard, is often the reason why the music doesn't sound so round. 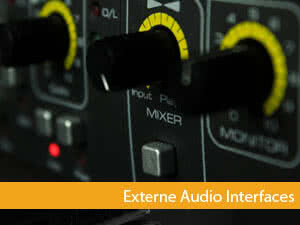 If you want a much better sound quality, an external audio interface, i. e. an external USB sound card, can be very useful. But what should one pay attention to when choosing? We show you how to find the right product. The external sound card - what are the advantages? A large number of modern PCs offer users the option to simply install an internal sound card in a free slot on the motherboard. Of course, even this small adjustment can bring about a significant improvement in music reproduction. The same effect is also provided by an external sound card, which can be used even more flexibly. To use them, you don't have to screw on the computer's case, nor do you need to make any major modifications. It is often no problem to connect a single external sound card to several PCs. The only preparation is a short installation of the driver - after that the sound card is ready for use immediately. Devices that work according to the plug-and-play principle are particularly simple. The driver does not have to be installed manually, but the interface is simply plugged into the PC and wait until the setup is completed automatically. The installation is therefore no problem for laymen, but most manufacturers still have a software that simplifies the setup of the sound card. In addition, these can be used to customize other settings such as equalizer effects. Many modern external sound cards are nowadays distinguished by their excellent quality and offer maximum musical enjoyment. Therefore, most models support all current standards to ensure compatibility with any system. Which sound card best suits your own requirements must be determined individually. It is clear that there is now a large selection of different versions of external sound cards on the market, which are different from each other in terms of price. Here it depends primarily on the available budget: From inexpensive sound cards to professional models, there is something suitable for every user. Therefore, it is particularly important to first consider what purpose the sound card should be used for before you buy it. It makes a difference whether you want a better sound when playing PC games, listening to your favourite music on your PC or for professional use in a sound studio. Generally speaking, however, it is always worthwhile to invest in a higher-quality product, because very inexpensive models usually do not bring about any appreciable improvement. The cheapest sound cards are already available for just a few euros, while expensive branded products quickly cost several hundred euros. It is recommended to compare different products in advance to find out which audio interface best suits your requirements. It may also be helpful to look at reviews from other buyers. It can roughly be assumed that qualitative models are available from around 30 euros. 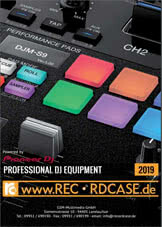 For interfaces with 2 outputs and 2 inputs, however, it is worth spending 80 or 90 euros. These sound cards can then be easily connected to the USB port and are ready for use immediately. Not only in specialty stores, but also online, the range of different external audio interfaces is large. Often it is worthwhile to compare the prices, as they are usually much lower in online shops. We offer a comprehensive range of high-quality products at an excellent price-performance ratio.